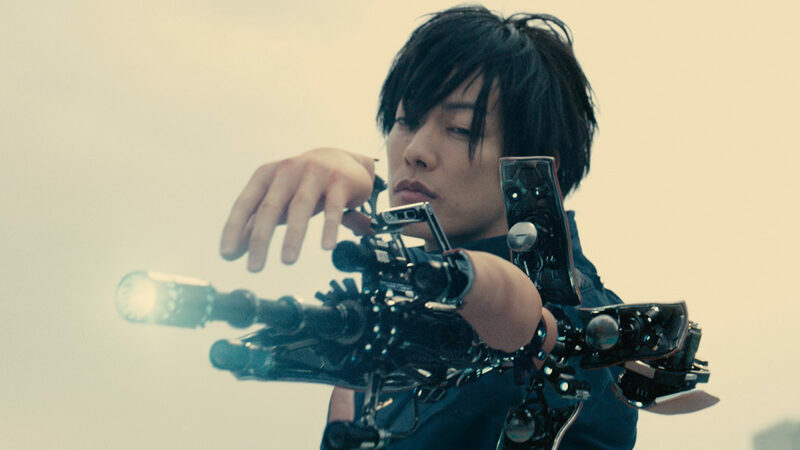 Inuyashiki is the name of the protagonist of the film with the same name. 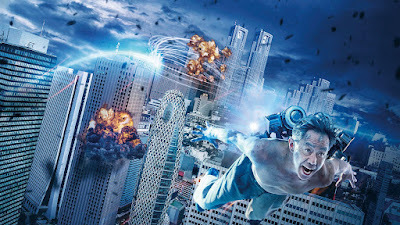 A put upon salaryman he is transformed into a robotic super robot when an “alien:” forces crashes in a park late one night and destroys his body. Also killed and rebuilt is a teenage boy. Where Inuyashiki begins to use his powers for good, healing the sick, the teen turns his angst and hatred of his father into an excuse to kill all of mankind. Eventually the two robots collide. The problems with the film begin with the whole back story of Inuyashiki. He has a shrew of a wife and kids who are monsters. I hated them so much that when it looked like his daughter was going to die I cheered (in a packed theater). His life is so stacked against him it is not only crushing but ridiculous. Why so many miserable people would be together is beyond me. This may have worked in the manga where multiple volumes to build characters but here everyone is vile and deserve to die. The tone of the film is all over the place. The opening third is bleak and dark. Then the film picks up moments of humor as the superpowers are tested and then it goes into full superhero mode. The problem is that the film never balances the tone the sadness, super and superhero as the darkness is always there and the humor bounce in and out uncomfortably. I never knew what I was supposed to feel. The film also has some huge plot holes such as how does the bad guy know how to work everything while our hero doesn’t. Also why is the villain so much stronger than the hero? There are no answers. While there are some good things in the film, the killing from a distance, Inuyashiki’s sense of right and wrong and some of the final battle, the film never seems to satisfy. Something is always off or just missing. Nowhere is that more clear than the mid- credits stinger where, surprise surprise, we find out that there is a possible sequel. To be honest, I liked the film but not much more than that.